Whether you’ve stumbled upon this page or come here intentionally…. This is intended to be a celebration of Torch Lake & the great places, people & events surrounding it. You’re cordially invited to explore, contribute or share here. Go grab your favorite beverage, get comfortable, take a deep breath, & start clicking. If you find something you like, leave me a message, if you have something to share…jump right in! Located in the northwest corner of the Lower Peninsula of Michigan…think the first knuckle of your ring finger of your left hand or click below! Michigan’s longest inland lake…19 miles. 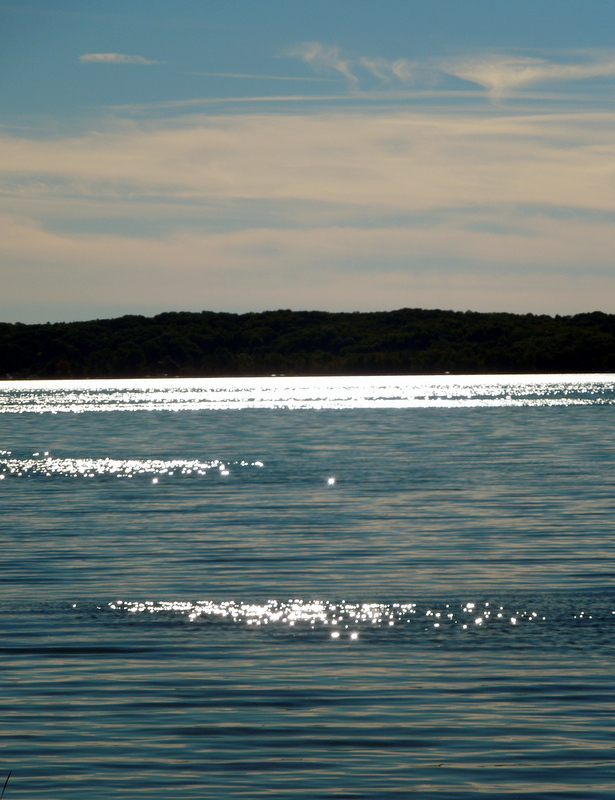 the deepest at 285 ft.
the second largest inland lake…18770 acres of beautiful blue water with 42 miles of shoreline. part of the Chain of Lakes watershed that includes Six Mile Lake, St. Claire Lake, Ellsworth Lake, Wilson Lake, Benway Lake, Hansen Lake, Intermediate Lake Lake Bellaire Grass River, Clam Lake, Torch Lake, Lake Skegemog, & Elk Lake, all of which empty into Lake Michigan. named for the Ojibwa phrase – “Was-wa-gon-ong” – which translates to Place of Torches because the Native Americans used torches at night to fish. known for its cyrstal clear blue waters which makes it the perfect place to indulge in aquatic activities including swimming, fishing, boating, water-skiing, sailing, canoeing, wakeboarding, kayaking, diving, & kite-surfing.